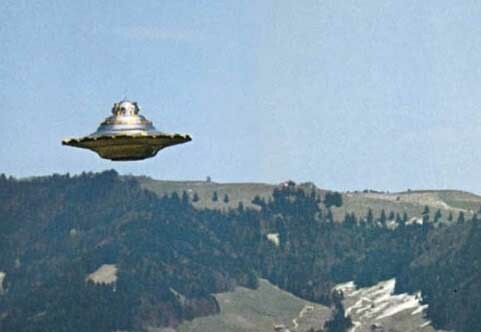 A farmer born in the town of Bulach in the Swiss Lowlands, Eduard "Billy" Meier's claimed his first extraterrestrial contacts occurred in 1942 at the age of five with an elderly extraterrestrial human man named Sfath. Contacts with Sfath lasted until 1953. From 1953 to 1964 Meier's contacts continued with an extraterrestrial human woman named Asket Meier says that after an eleven year break, contacts resumed again (beginning on January 28, 1975) with an extraterrestrial human woman named Semjase the granddaughter of Sfath. 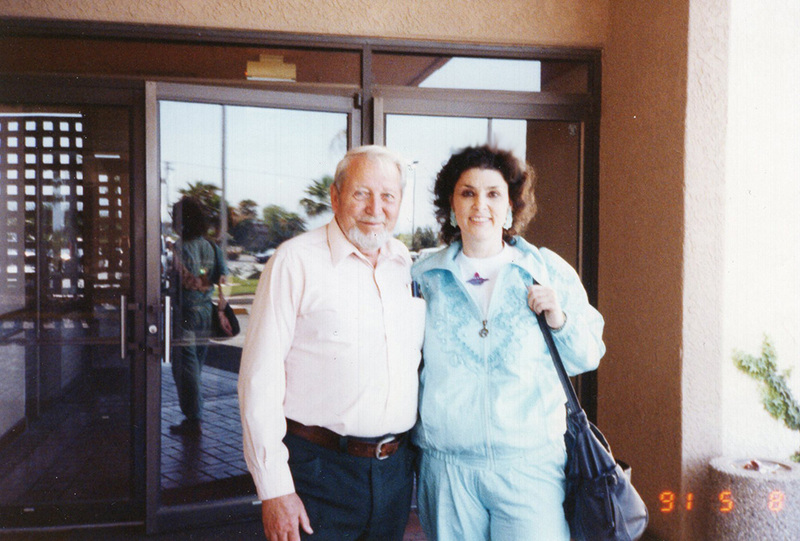 In his teens, Meier joined the French Foreign Legion but says he soon left and returned home. 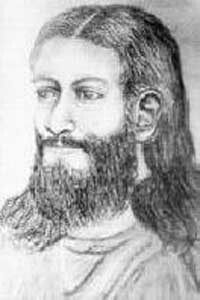 He traveled extensively around the world pursuing spiritual exploration, covering some forty-two countries over twelve years. In 1965 he lost his left arm in a bus accident in Turkey. In 1966 he met and married a Greek woman, Kalliope, with whom he has three children. The nickname "Billy" came by way of an American friend who thought Meier's cowboy style of dress reminded her of "Billy the Kid". This anecdote was told by Meier himself in an interview with Bob Zanotti of Swiss Radio International in June, 1982. (BZ, 1/08). 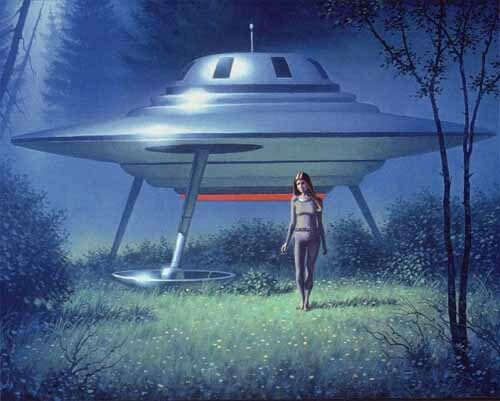 Meier has accumulated a large collection of controversial photographs showing alleged spaceships (called beamships) as well as alleged extraterrestrials (humanoids called the Plejaren). Meier says that the Plejaren gave him permission to photograph and film their beamships in order to produce some of the evidence for extraterrestrial visitation. Meier's claims are disputed by UFO skeptics as well as some UFO enthusiasts. Many Meier proponents and believers exist among UFO enthusiasts, and his evidence has seen increased exposure through the efforts of an American representative, Michael Horn, who has appeared on popular late-night paranormal programs such as Coast to Coast AM. 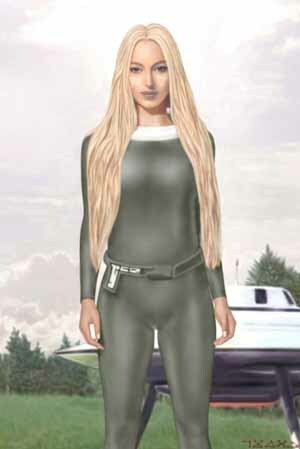 Beginning in 1975, Meier allegedly began his official contacts ("official" in that evidence was to be provided publicly, unlike earlier contacts), communicating both directly (face-to-face) and by telepathy with a core group of the Pleiadians/Plejaren, or Errans as he also refers to them (Erra being their home planet), who gave their names as Ptaah, Semjase, Quetzal, and Pleja, among numerous others. According to Meier in the video documentary 'Contact', his first contact with extraterrestrials began on January 28, 1975. Meier claimed the visitors charged him with certain informational and consciousness-raising tasks As he undertook this mission, he met with a great deal of scorn and assassination attempts. Some of these were allegedly initiated by hostile extraterrestrial entities and subsequently defeated largely through the intervention of his Plejaren friends. Meier allegedly was uncomfortable with the megalomaniacal associations some would attach to his role as a representative (such as use of the term "prophet", e.g.) but he undertook the effort nonetheless. In 1975 he established the Freie Interessengemeinschaft fŸr Grenz- und Geisteswissenschaften und Ufologiestudien ("Free Community of Interests for the Fringe and Spiritual Sciences and UFOlogical Studies") , or FIGU, a non-profit organization for the benefit of researchers into this field, and headquartered it at the Semjase Silver Star Center. Meier claims that he was instructed to transcribe his conversations with various extraterrestrials, some of which have been published in the German language. These books are referred to as the Contact Notes or Contact Reports. Currently there are nine published volumes of the Contact Reports (titled Plejadisch-Plejarische Kontaktberichte). 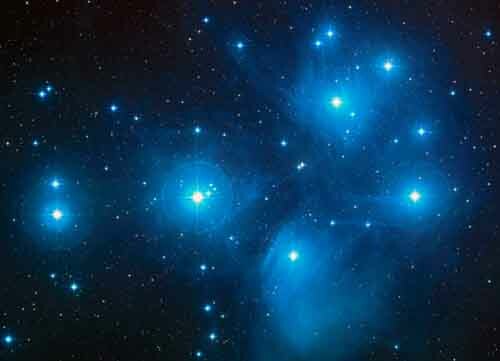 Some of the Contact Reports were translated into English, extensively edited and expurgated, and published in the out-of-print four-volume set Message From The Pleiades by Meier case investigator Wendelle Stevens. Meier's alleged discussions with the Plejarens are highly detailed and wide-ranging, dealing with subjects ranging from spirituality and the afterlife to the dangers of mainstream religions, human history, science and astronomical phenomena, ecology and environmental dangers, in addition to prophecies of future historic trends and events. Some of the most important evidence for Meier's claims come from his large collection of controversial photographs. These include images of alleged spacecraft in the Swiss countryside, the Apollo-Soyuz 1975 docking and distant astronomical phenomena. Supporters insist that the images are exceptionally high quality and that a one-armed man could not possibly have fabricated them. Critics such as Stanton Friedman and Jacques VallŽe believe them to be fakes. Some critics have provided examples of similar faked photos and have pointed out that some of his photos are taken from science fiction books, paintings and television programs. Meier claims that these photos were altered by intelligence agencies and slipped into his collection in order to discredit his UFO testimony. Other allegations include focus and light-direction problems consistent with cut-and-paste and model techniques. As recounted in the unabridged version of Message from the Pleiades, Vol. 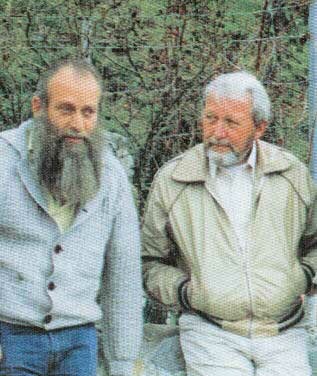 2, Meier was taken back in time by the extraterrestrial Asket where he met personally with Jmmanuel, alleged to be the real Jesus, and who told Meier that Meier's evolution was higher than that of Jmmanuel himself, saying, "Truly, your evolution has proceeded for 2000 years further, which fact I have not considered." (page 512). The contact with Jmmanuel lasted for four days after which Meier was returned to the present time. We have partaken in the endgames of a Holographic Experiments we are prophecies of old combine with predictions in our current timeline that will lead to the same conclusion ... Reality is evolving. There are many prophecies based on information given through ... channeling ... messages after contacts with aliens.... dreams and intuition. 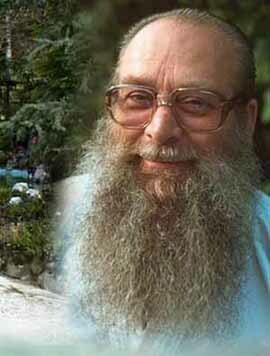 Billy Meier repeatedly warns of an impending Third World War beginning in November 2006, 2008, 2010, or 2011. He has also denounced the terroristic activities and vigilante behavior of various Muslim extremist groups, which he says only foment the possibility for war. 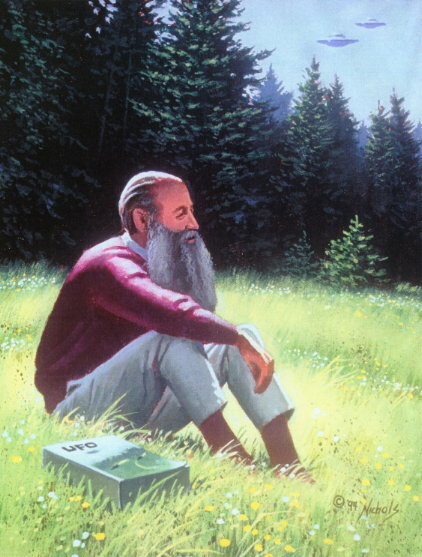 Billy Meier also takes us to the Henoch Prophecies which basically make the same predictions as all others which name this as the end of this cycle of time and return to light and consciousness. As with all channel theories, if humanity gets their act gather things will end well if not they have pretty much doomed. That is a self fulfilling prophecy because we live in an electromagnetic bipolar reality that is programmed as such. Balance will never happen and therefore the hologram of our reality terminates.